Victorian Iron Back Chair - Original House – Decorative Antiques, Vintage Industrial Furniture and Lighting, Cotswolds. 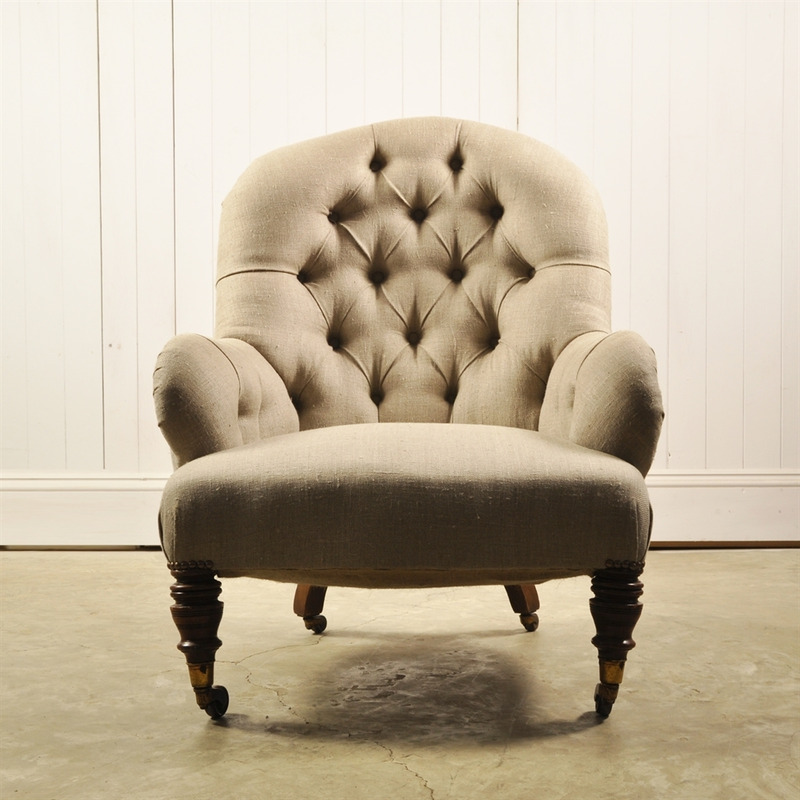 Circa 1880's this Victorian Armchair has been fully restored and re-upholstered in a plain linen. Deep buttoned, a really good looking chair and a real specialist upholstery process to restore these rare iron backed chairs. The Victorians produced these with a iron back frame to give the chairs some flexibility and more comfort. 88 cm h ( 35 h to seat ) x 68 w x 70 d.
Price includes VAT at 20 %.